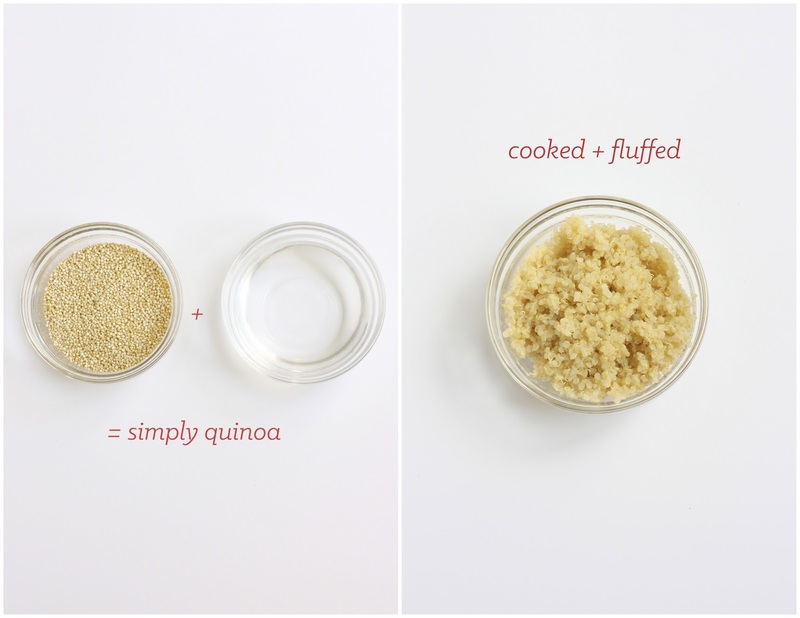 REAL GOOD FOOD | TO COOK QUINOA | jeni a. We eat quinoa pretty often over here. Versatile, tasty, and a complete-protein grain, it's naturally an all-around meal (aka, it's nice to the budget + busy schedule). After making up a batch of simple quinoa, I toss it with veggies, fruit, herbs, and a dressing (like this). Mm! Quinoa is good. Next Friday's post will deliver a how-to for one of the many quinoa salads that we have for dinner, so stay tuned. *Soak the dry quinoa for 5 minutes before cooking it - if not, the quinoa will have a waxy taste. Cover the 2/3 cup with water in a bowl, drain it, and then add it to the boiling water.